I liked this very much. better than the similar Sister Fidelma books. 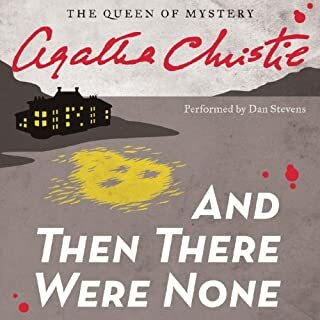 the narrator was great as well. In the year 666 A.D., a headless female corpse is found in the drinking well of a remote abbey in southwest Ireland: clasped in one hand is a crucifix; tied to the other arm is a pagan death symbol. Sister Fidelma--sister to the king of Muman, a religieuse, and an advocate of the Brehon law courts--is sent to investigate. The plot was fine. I enjoy the history and descriptions. perhaps Fidelma even seems less of Cartoon... her introduction in each book seems like it's the same paragraph. But it is the lack of depth in the characters that I realize bothers me. "Spoiler alert " : The reunification of Fidelma and Aedolf seemed a great opportunity for something powerful to happen but it really doesn't. 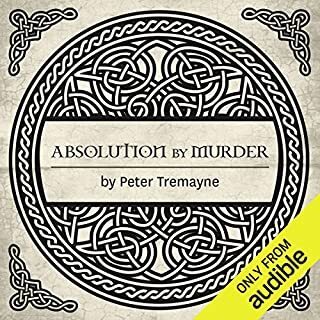 Would you consider the audio edition of Absolution by Murder to be better than the print version? Don't know, but I like the reader very much. No. Though the few times historical inaccuracies pop up, they are really stand out. For instance, in the first book they mention "autopsy." I'm fairly certain this concept was not current in Sister Fidelma's time, let alone the word it self. I don't know why, but I found that jarring, bothersome. I'm hooked. The things that bother me are the rather cartoonish way in which Fidelma is portrayed, rather like the cartoons about the founding of America around the time of the Bicentennial. Although to be fair, Brother Eadulf, does act somewhat as a foil, showing Fidelma's almost arrogant attitude. The reasons for her attitude though are quite real, however, and the books bring up the differences in the way the Irish respected their women in an interesting way. I'm hopeful the characters deepen and develop over time. 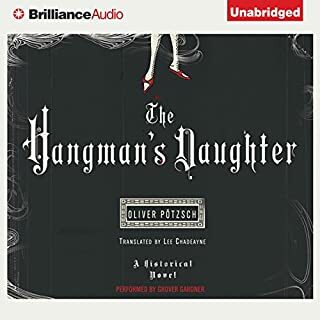 The best on audible so far. Dan Stephens was incredible. And so was Christie. :-) The story is a classic of course.